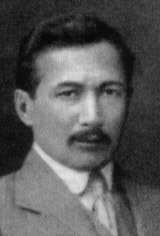 The musical critic, composer and folklorist Joel (Yuliy) Engel (1868-1927) studied composition and theory of music at the Moscow Conservatory and became one of the most prominent Russian musical writers. For more than twenty years he had been head of the music department of the Moscow daily „Moskovskie vedomosti“. Engel also prepared the Russian edition of the famous Riemann music lexicon. In 1900 he was commissioned by the Jewish historian and folklore researcher, Pesah (Petr) Marek, to arrange several Jewish folk songs for a concert in Moscow. The appearance of the Society for Jewish Folk Music in 1908 encouraged him to continue his activities on this field. In the following years he produced many other arrangements of Jewish folklore and organized their performances in Moscow and in other Russian cities as well as numerous publications. Besides he took part in the Jewish Ethnographical Expedition of Semyon (Shlomo) An-ski. 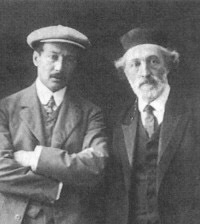 In 1913 Engel was co-founder of the Moscow branch of the Society for Jewish Folk Music. His music to An-ski's play "The Dybbuk" staged at the theater "Habima" made his name known all over the world. After his emigration to Germany Engel participated in the foundation of the Jewish musical publishing house „Juwal“ and he was its music director. In 1924 he came to Palestine, where he tought at the music school "Sulamith" in Tel Aviv and composed incidental music for the theater "Ohel".